Boasting an appealing balance between captivating beauty and rich culture, Salzburg /Zell am see is one of the smallest regions of Austria and can be found roughly in the heart of the country. What the area lacks in size it more than makes up for in diversity and the excellent luxury camping sites here serve as the perfect base for visitors who want to explore the area at their leisure. Get in touch with us at LUX-camp for more information. Why Should Travellers Arrange a Camping Holiday in Salzburg /Zell am see? Following the hiking trails that wind through the lush valley to reach traditional Austrian villages is an experience that visitors are sure to love. 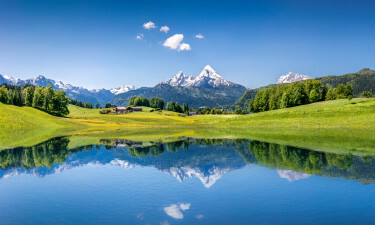 the luxury camping sites here are surrounded by intense natural beauty and guests will also be able to spend time simply soaking up the scenery of the ever present Alps. People who want to get to know the Zell am see region of Austria will find that this prominent campsite makes the perfect base. As the name suggests, this is a great place for those who enjoy practicing sports and skiing, snowboarding, rock climbing, abseiling and a whole host of other activities are available here, while guests can also unwind in style at the onsite spa. The Alps make a stunning backdrop to the lush valleys that mark this picturesque region of Austria. The area is also home to the Krimmler Wasserfälle, which are the highest waterfalls in the whole of Europe. The region is also famous for its pretty Alpine Lakes, which offer visitors a range of water sports opportunities. 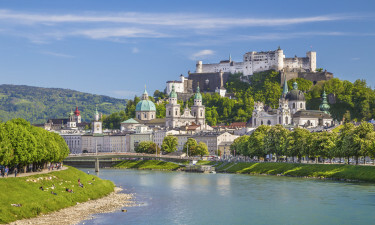 Naturally, people who choose to book a mobile home in this part of Austria will want to take the time to explore the enchanting city of Salzburg. Riding the cable car up to Salzburg Castle is an experience that should not be missed and offers visitors the chance to soak up the natural beauty of the area, while other impressive attractions include the former residence of Mozart, Hohensalzburg Fortress and St Peter's Church. 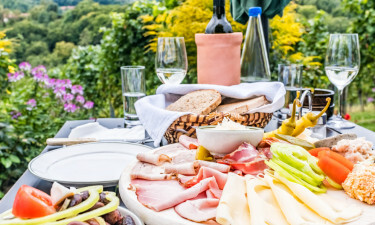 A range of traditional Austrian dishes hail from this part of the country and special cheese dumplings known as Kasnocken are delicious as a snack or an accompaniment to a main meal. Freshwater fish is also popular in Salzburg and is prepared in a range of different ways, while people who have a sweet tooth will want to try Salzburger Nockerl, which is a dessert that resembles a very hearty meringue.